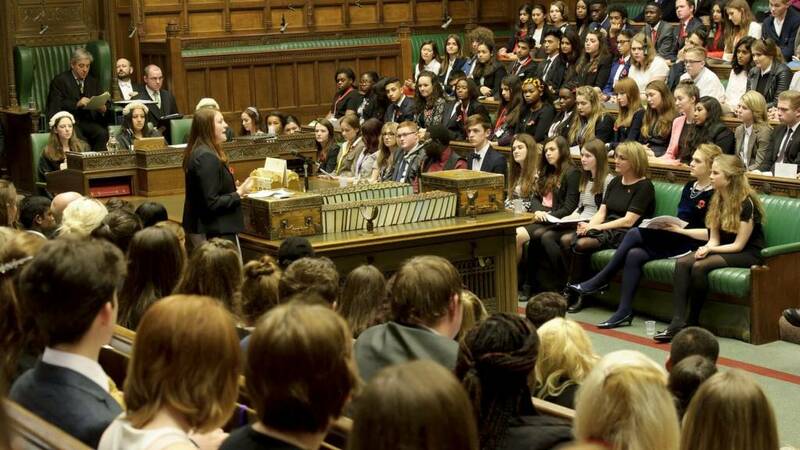 This weekend young people from across the UK will come together for the 17th Annual sitting of the United Kingdom Youth Parliament which will take place in Liverpool. In March 2017 UKYP was ‘paused’ in NI leaving young people from the region disillusioned and disenfranchised in terms of youth participation at a UK wide level. Since December 2016 the NI Youth Forum has worked hard to resolve issues with regards to the sustainability; effectiveness and quality assurance of UKYP in NI. Things had become so bad that young people were walking away from the project and many within the Youth Sector asking serious questions about the project’s connections to local young people. In January the organisation put forward proposals that would have brought solutions to issues around funding; participation and tokenism on a short medium and long term basis. These proposals were by enlarge ignored by BYC and the project was ceased in NI. Some 6 months later, in the lead up to this year’s annual sitting, BYC reversed their decision to exclude young people from NI from the programme and made an offer to NIYF to continue to support the programme which would have cost the NIYF in excess of £33,000. For a youth lead charity being expected to contribute this amount of money to a programme that BYC is commissioned to run was alarming. No staffing or programme costs were included in their offer which would only allow 6 out of 18 young people to attend the Annual Sitting and upcoming House of Commons event. Young people consulted widely with their peers; public and voluntary organisations as well as elected representatives at local authority; local assembly and Westminster levels and reluctantly came to the decision that it would be best for young people in NI not to attend this years sitting as a token gesture. Young people’s position is that energies should be put into fixing the problems of funding and tokenism on the long term basis through a fundamental review and remodelling of the programme in NI to commence in August 2017 rather than travelling to Liverpool for little more than a photo opportunity. The UN Convention on the Rights of the Child stipulates that young people’s views should be heard, taken into account and acted upon. The Youth Forum is a Youth Lead organisation with young people making all of the decisions and setting our strategic direction. Their decision not to attend the annual sitting was very brave; was for the right reasons; and was reached in the right way. From financial and operational perspectives it was just not workable; and above all the decision was made to protect young people from tokenism. Despite this position, which, has been widely supported a number of young people were approached by BYC to attend the Annual sitting and represent NI. Whilst NIYF respect that BYC were well within their right to do this it does seem somewhat manipulative and ; and undermines the position of their partner organisation. BYC have now found funding to support staffing costs associated with this trip whereas this was not available to NIYF. The Executive Committee of the NIYF, made up of young people aged between 11 -25 are disappointed at how they have been treated. For the young people who are going to the sitting we wish them well and hope that they are afforded with the opportunity to raise and discuss these issues – and crucially that they are listened to and acted upon.